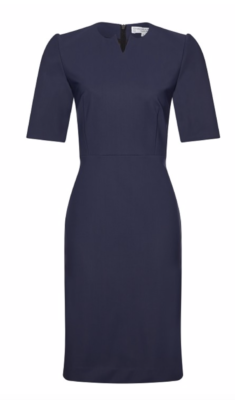 This Alba dress is made out of an Italian jersey in a Prussian Blue. A modern classic design paired with an innovative fabric that allows you to move with ease and feel comfortable at the same time. An ideal choice for the business woman on the go. PREVIOUS: Looking strong is beautiful! Posted on Sunday, March 24th, 2019 at 2:58 pm in Looks, News. You can follow any responses to this entry through the RSS 2.0 feed. Both comments and pings are currently closed.